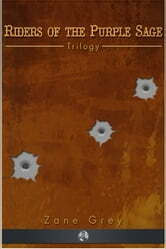 Three fantastic novels from the king of Old West fiction, Zane Grey. Includes Riders of the Purple Sage, The Border Legion and The Lone Star Ranger. Over a hundred different films, and a TV series, have been based on Grey's novels.